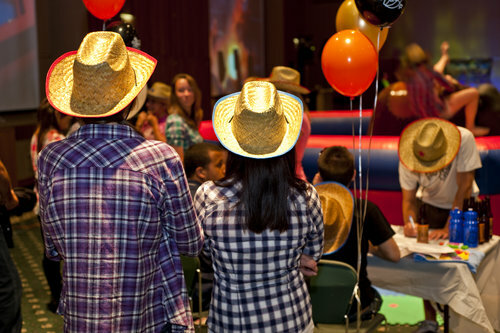 IC After Dark hosted Urban Cowboy, their signature, western-themed, late-night event in Emerson Suites early this fall. 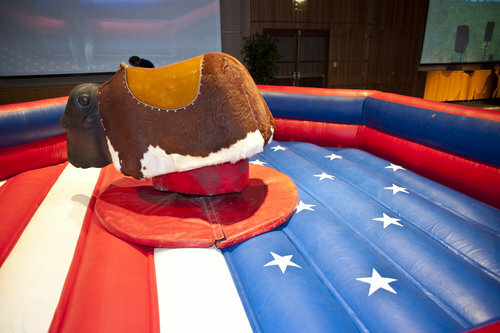 The mechanical bull at Urban Cowboy waits calmly to toss attendees. 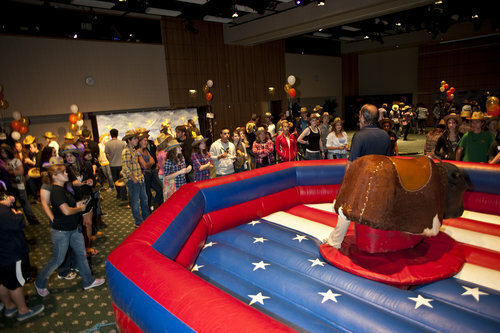 Students formed a fast line to see how long they could last on the back of the mechanical bull at IC After Dark's Urban Cowboy. 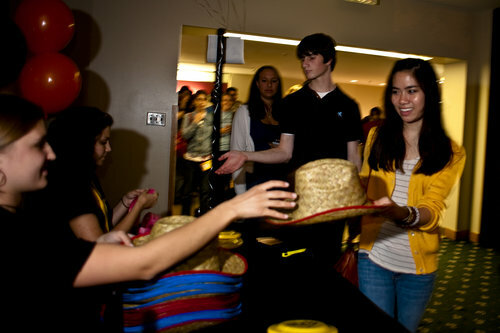 Students received a cowboy hat to help get them into the spirit of the event as they arrived at "Urban Cowboy." 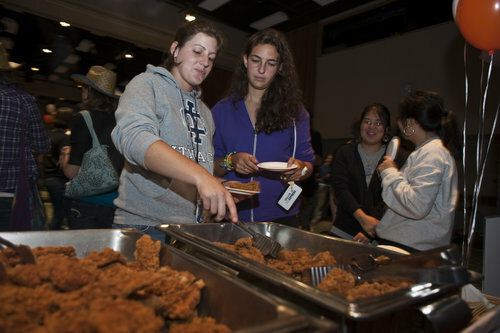 First-year students Deborah Levy (exploratory) and Jordyn Conway (environmental studies/sports management) enjoy some barbeque at Urban Cowboy. 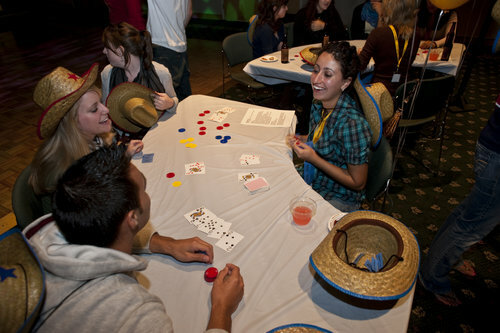 Fuse's own Alyssa Figueroa '12 dishes out some luck at the poker tables. 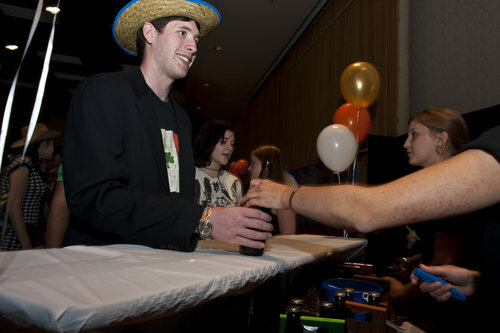 First-year exploratory major Dan Tappan hangs on tight at IC After Dark's Urban Cowboy event. 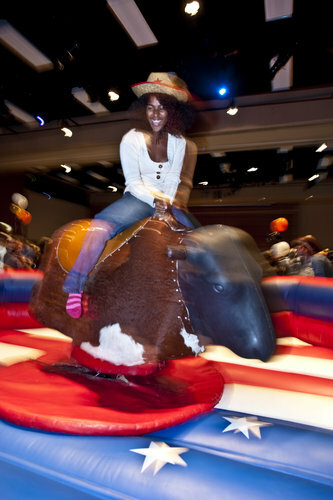 First-year exploratory student Sydney Southers goes for a ride on the mechanical bull. Ben Conlon, a first-year sound recording technology major, tries his first Ithaca root beer at Urban Cowboy in Emerson Suites. 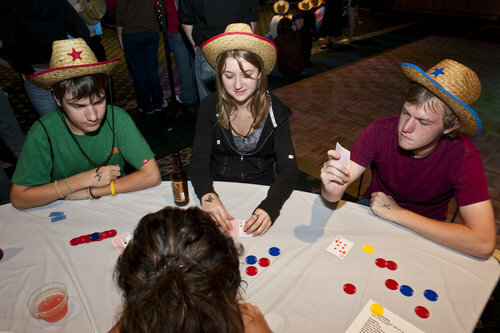 First-year students Ryan Butler (outdoor adventure leadership), Dana Pavelsky (exploratory), and John Mcglaughlin (history) test their luck at the Urban Cowboy poker tables. 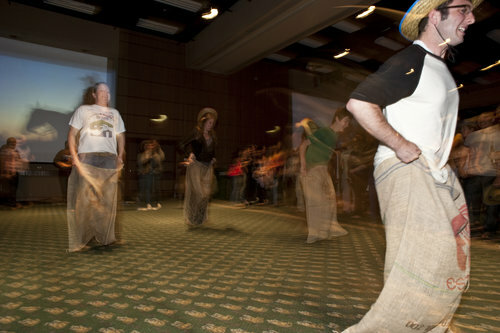 With sacks around their feet, students raced to the finish line at Urban Cowboy. 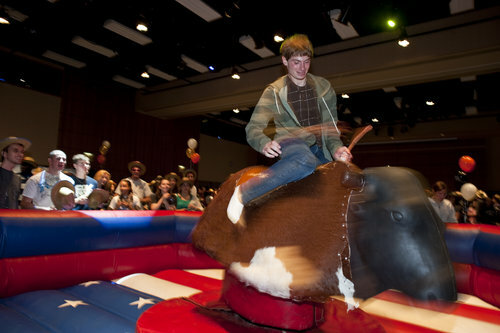 Students watch as others take a spin on the mechanical bull at IC After Dark's Urban Cowboy event.